GIRLS ONLY NIGHT AT RUSH SKATEPARK TONIGHT! 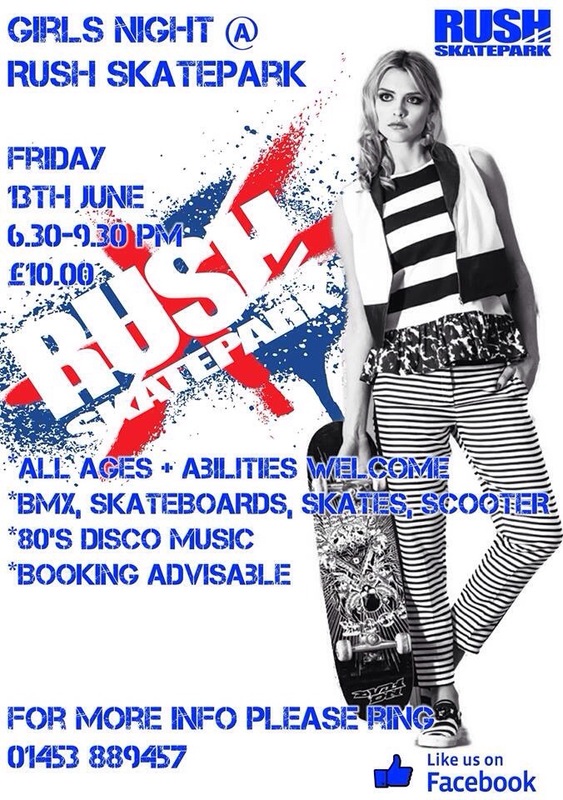 After the success of the last girls session, tonight from 6:30pm – 9:30pm the girls of Gloucester will once again be taking over Rush Skatepark for a night of skateboarding and disco music! Sounds like a laugh, wish we could be there! For more info and to see who’s attending, check out the Facebook page!